K-DOUBLE | Blog, Videos, MP3's and Record Lbl: CoCo B's in SPIN Magazine!?!?!?!?!!!?! CoCo B's in SPIN Magazine!?!?!?!?!!!?! 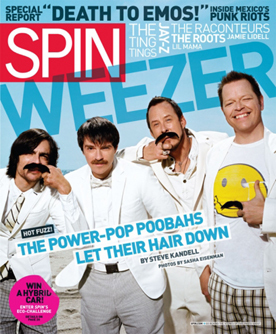 It's been awhile since we posted anything CoCo B's related, so.... We found out the other day we're currently featured in SPIN Magazine's June 2008 issue under the section "Songs You Need to Download Now!" Our song, "Give Up the Money (1982)", has a little write up next to our CoCo B's family photo pic. Stay tuned... We've got some other interesting things in the works as well.